HEBaili (b.1945) born in Guangzhou, is one of the foremost Hong Kong artists working in the medium of brush and ink today. HE Baili is widely recognized as a pioneer in the field of Chinese painting, is known for his consistent innovative practice while remaining respectful of age-old traditions. HE seeks to convey expressions of the mind through compelling depictions of nature with a distinctive visual language. It is no surprise that his images of the natural world – lush mountains suffused with mist and dew, poignantly strikes a spiritual chord of feeling and evoke reverie in the viewer. For HE, change lies at the heart of his artistic practice. Throughout a prolific career spanning five decades, he has continued to experiment with diverse styles and subject-matters: from early idyllic sketches of fishing boats off the shores of Hong Kong Island to the majestic portrayal of ridges and mountains of North America. 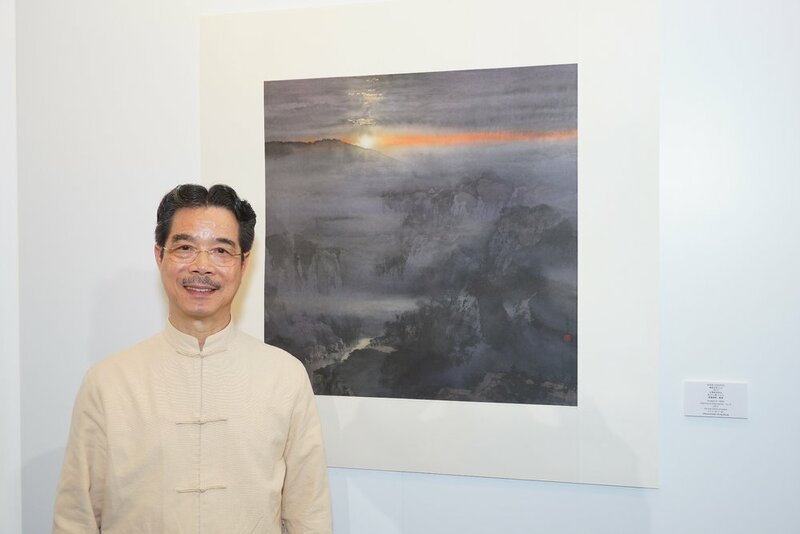 In recent years, HE has travelled extensively in China, painting magnificent scenes of sunrise with a new vitality of prowess, adding a splendid of richness and elevations to his painting. Publications include Works of Art by He Baili, Miniatures and Fan Paintings by HE Baili, Baili’s Vision, HE Baili’s Idyllic Hong Kong in Ink and Meandering Through Art in Leisure. HE currently serves as a founding member of the HK Association of Artists.